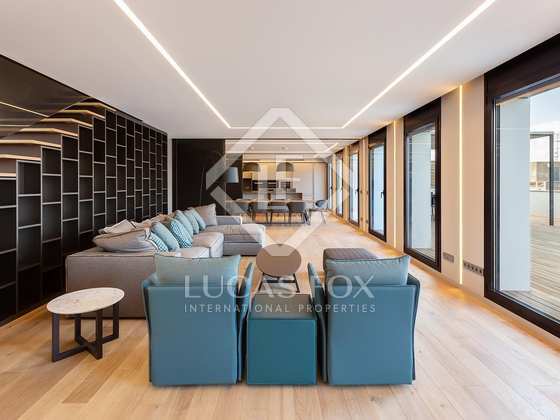 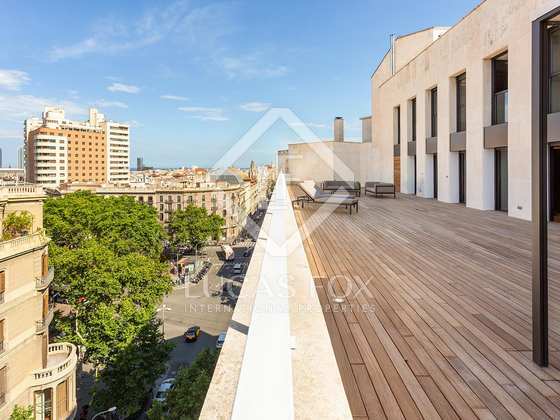 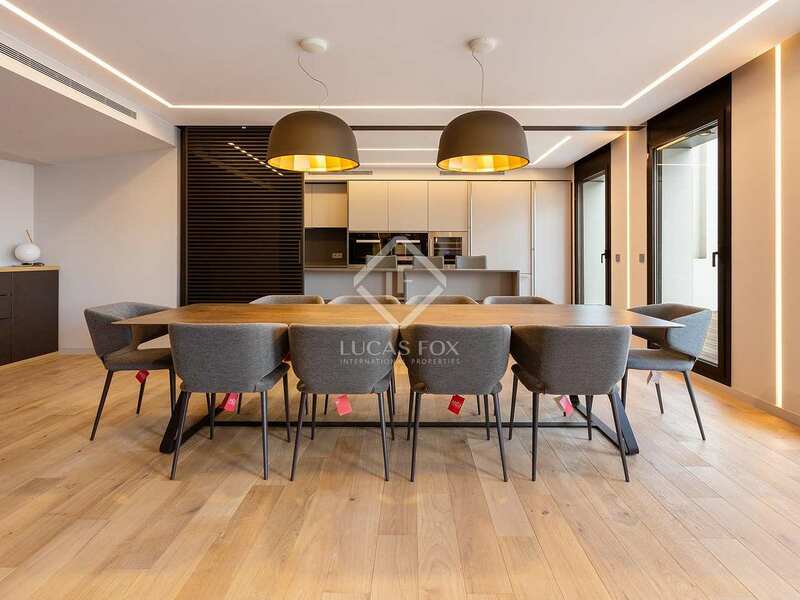 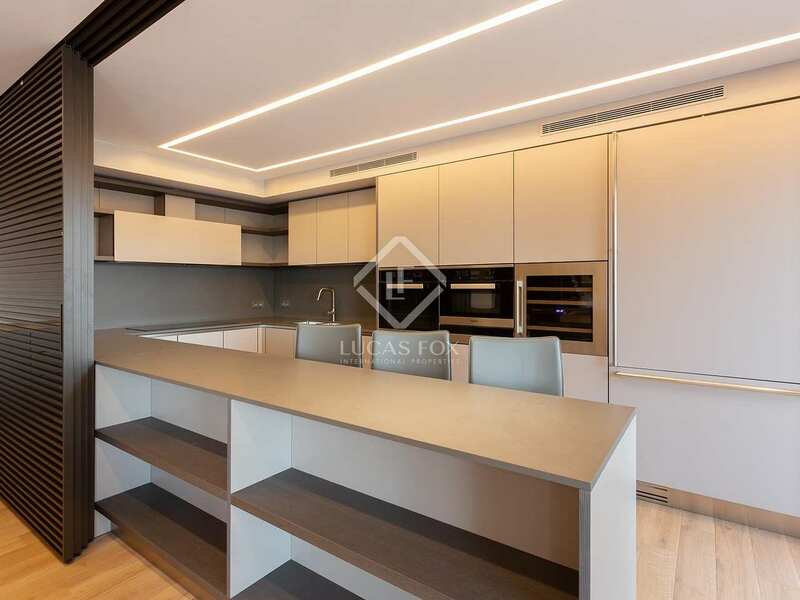 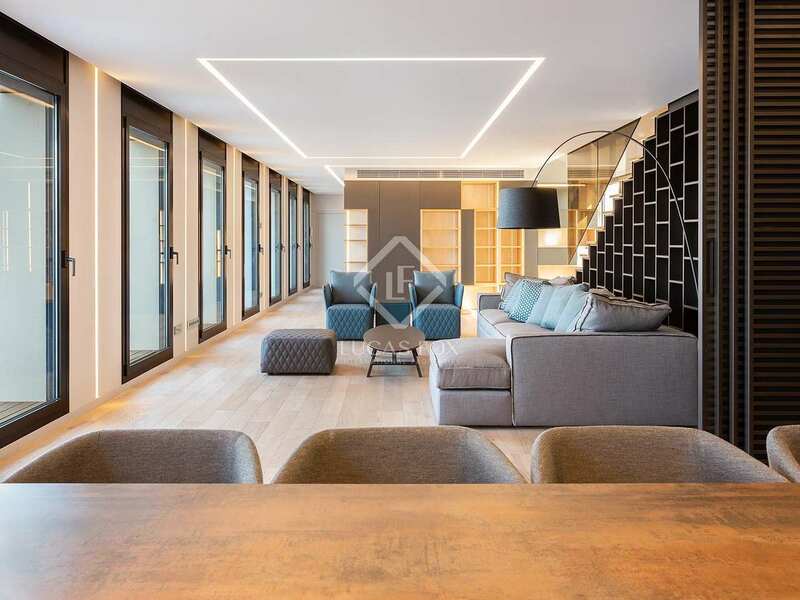 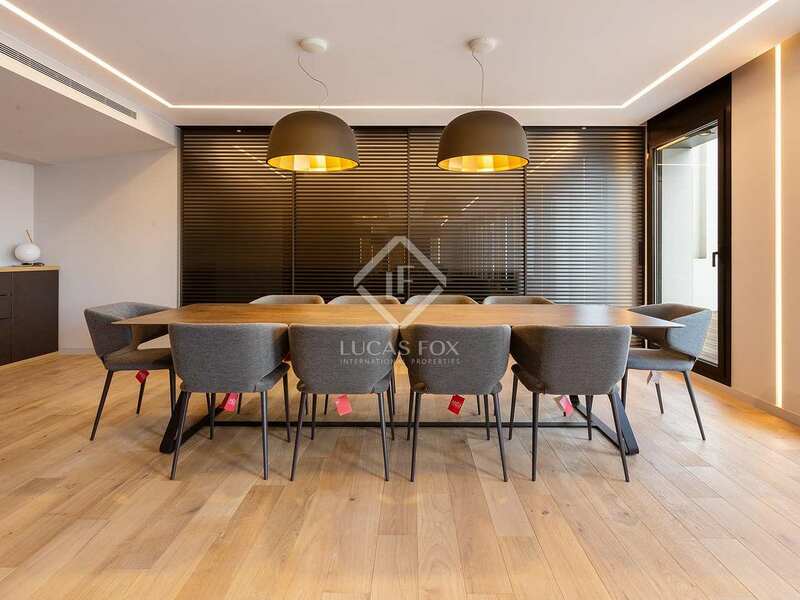 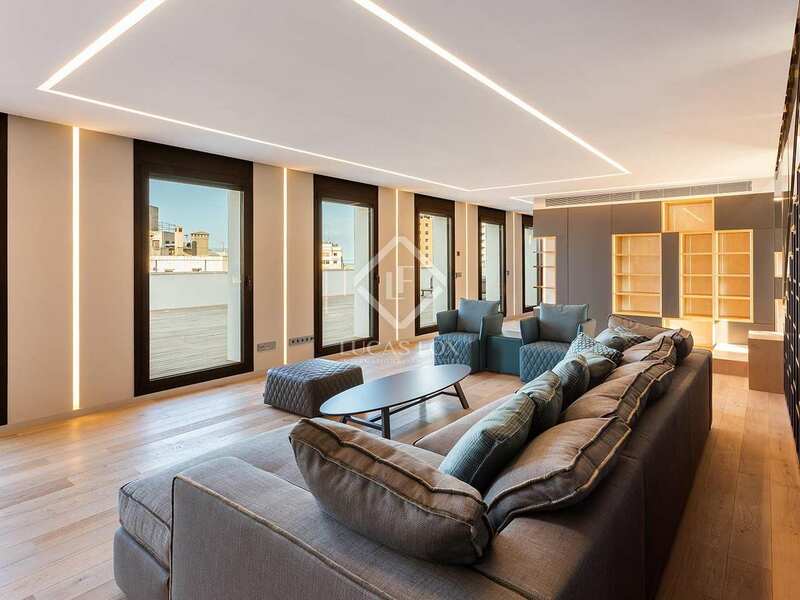 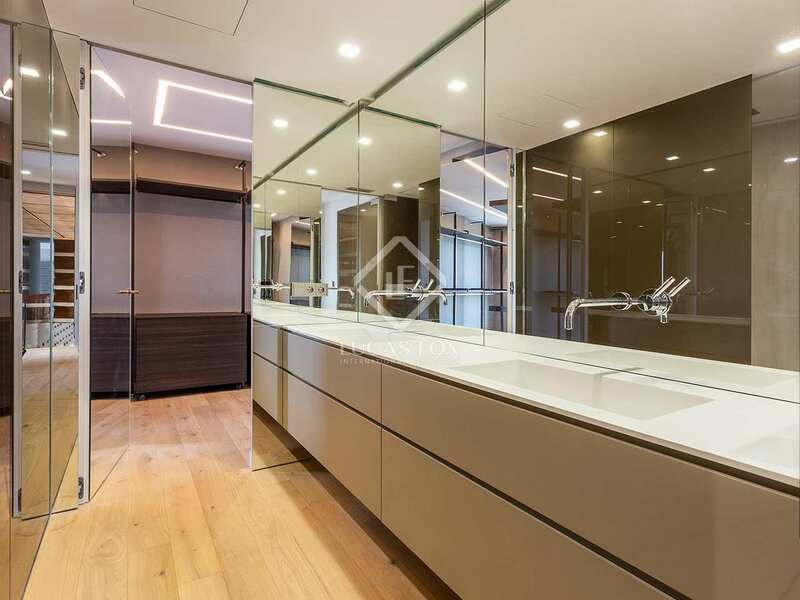 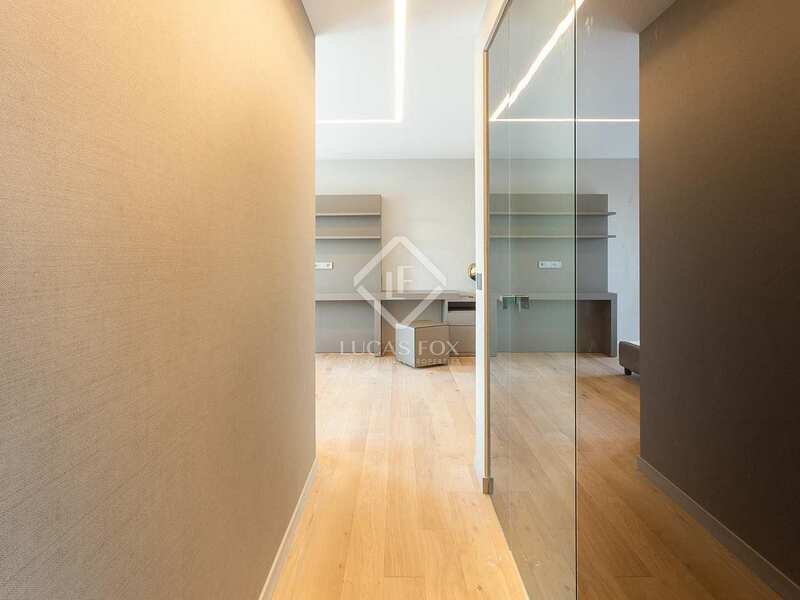 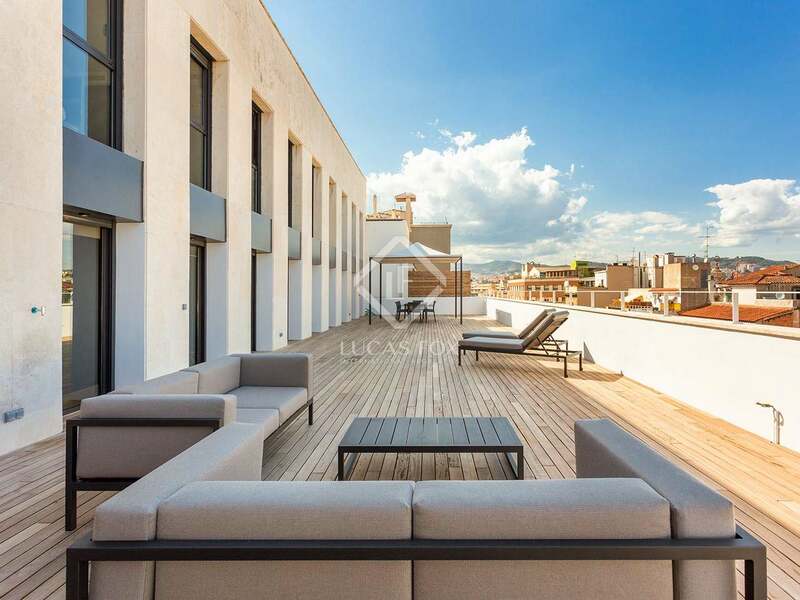 This exquisite duplex apartment in the highly sought-after area of Eixample Right has been renovated to the highest standards and is in perfect condition throughout. 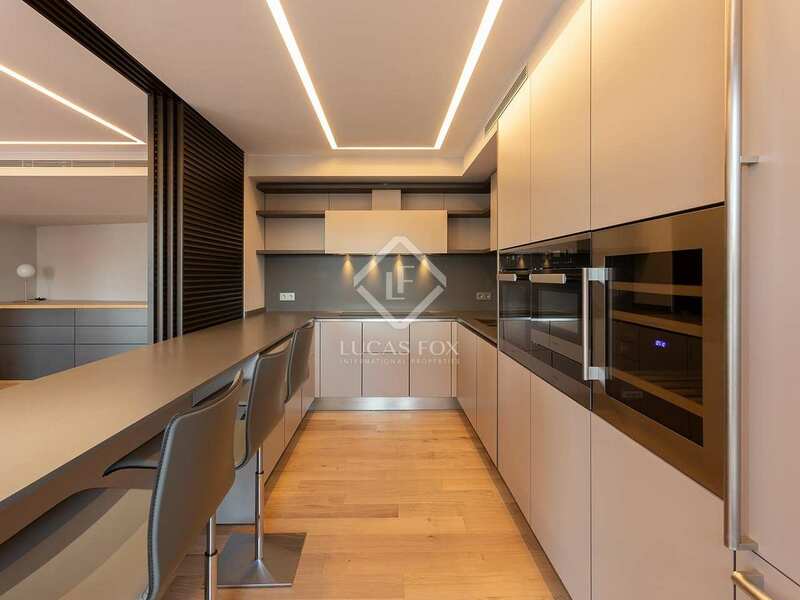 The interior layout has an innovative system of walls that can create different spaces between the living room, dining room and kitchen. This adds modular flexibility and means that the floor can be divided or become one fabulous open area, ideal for parties or special events. 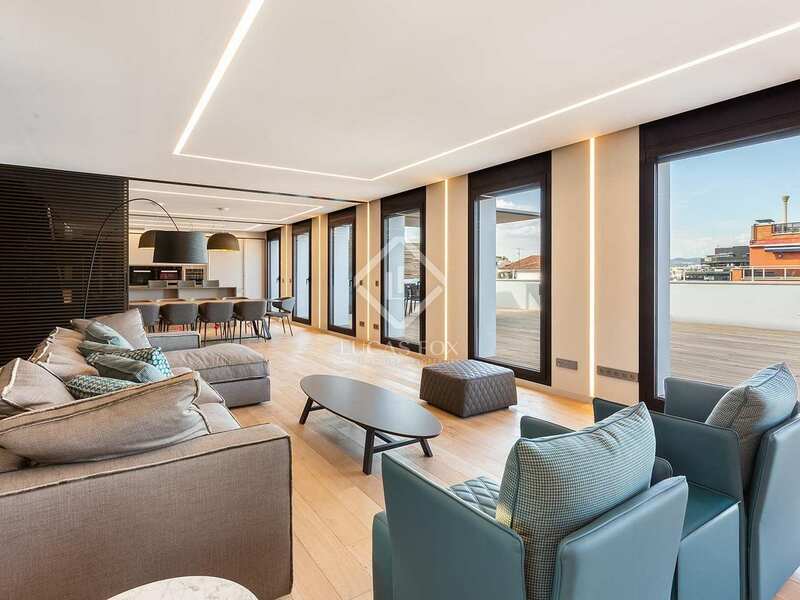 Outside, the fantastic 174m² private terrace is always on show via the floor to ceiling doors and windows, and delivers privacy and lovely views across the city. 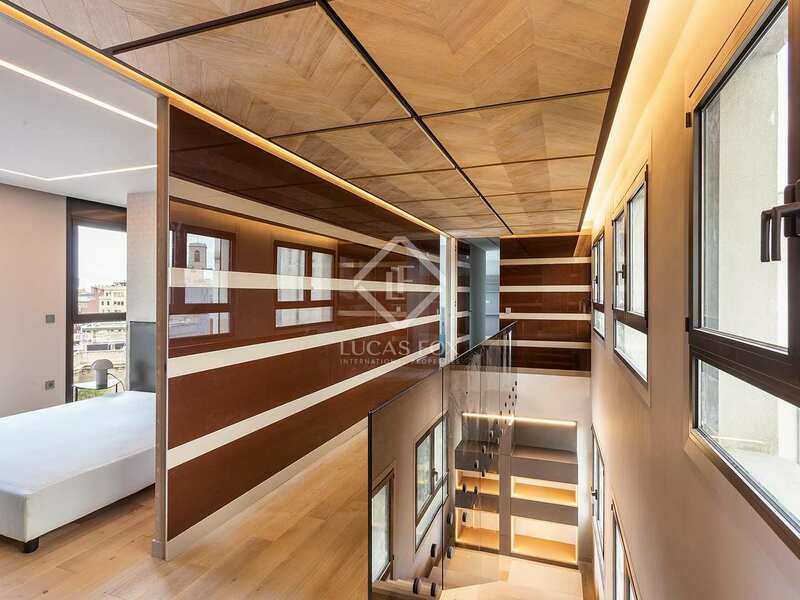 This wood-decked outside space matches the natural tones of the interior and gives the feel of having a vast extra room. 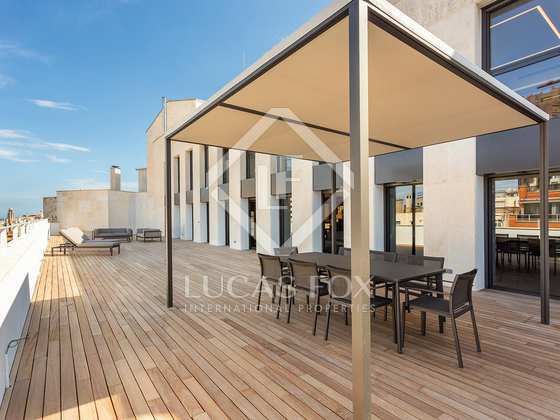 In fact, it is pre-installed with connections for an external kitchen and automatic irrigation system, and has been structurally pre-strengthened to support a Jacuzzi. 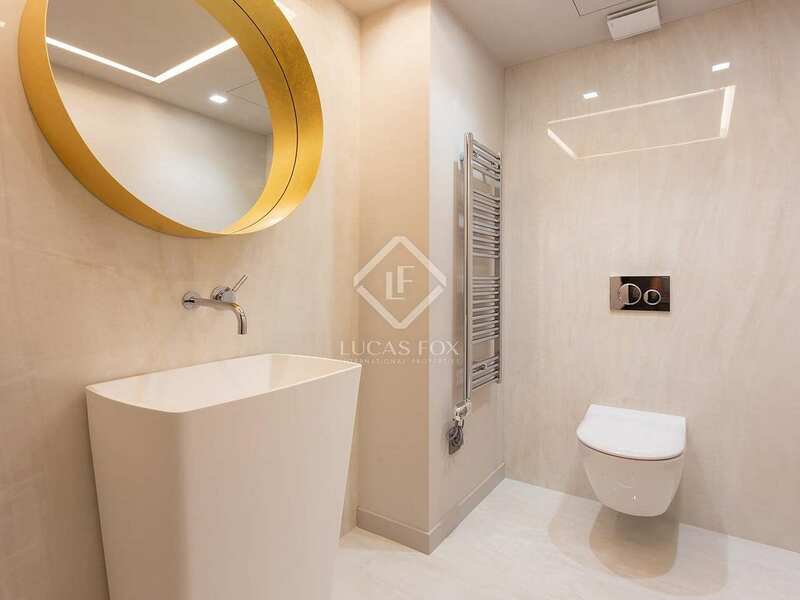 The upstairs floor is dedicated to 4 very generous ensuite bedrooms with dressing rooms and views. 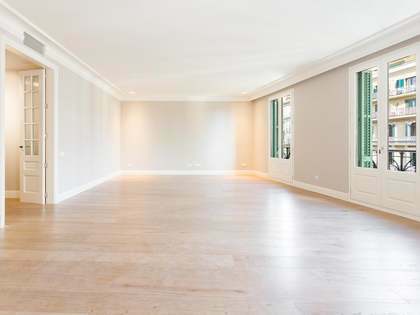 A further service or guest bedroom suite is available on the lower floor. The building is modern and very well-kept with 24-hour security and the option to rent a nearby parking space. 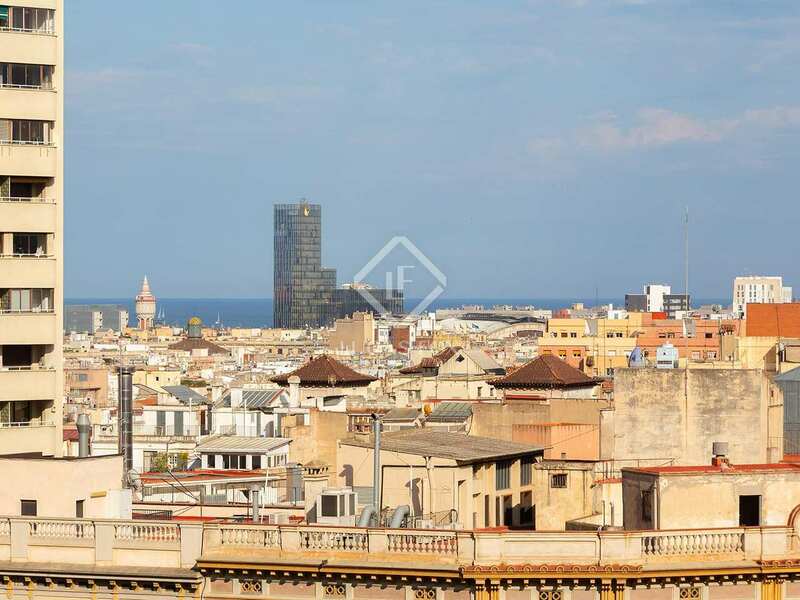 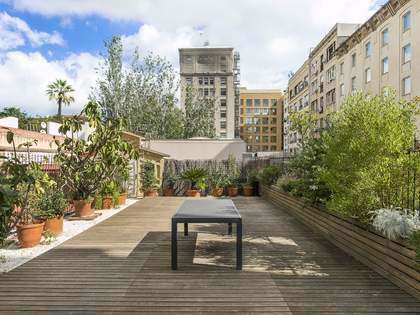 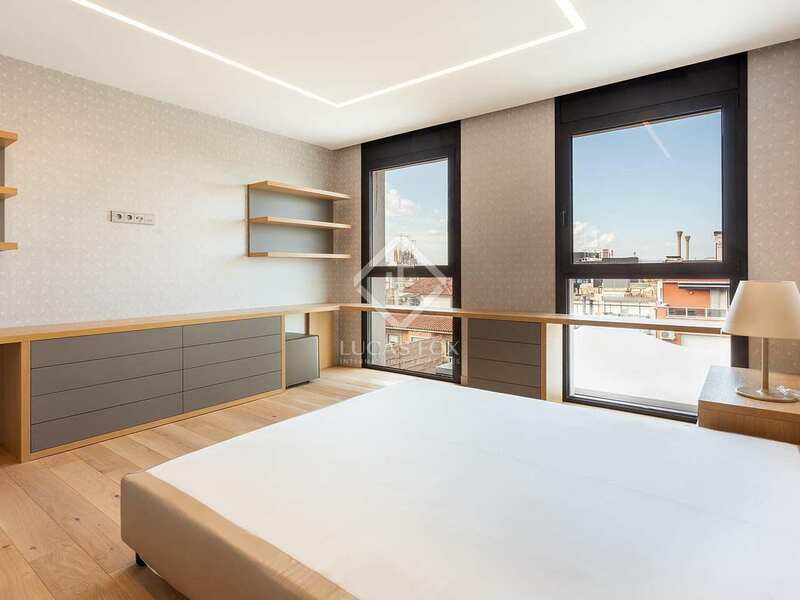 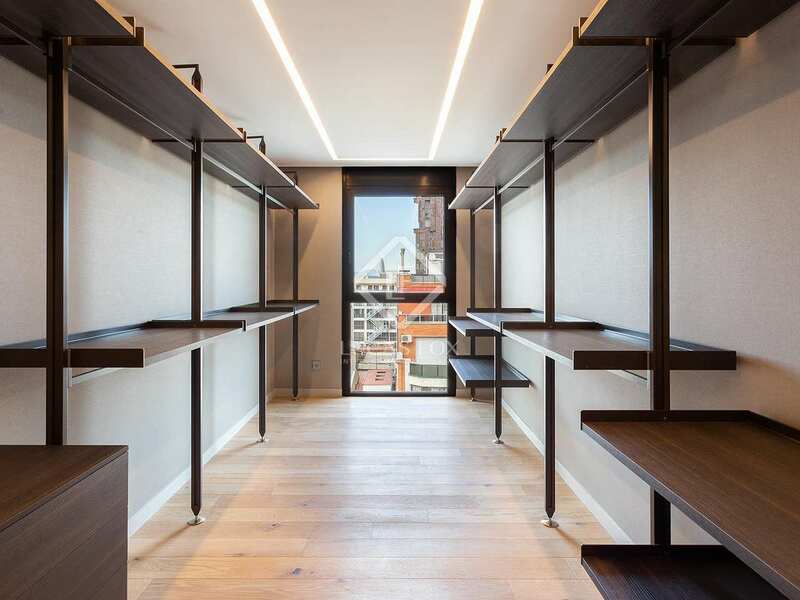 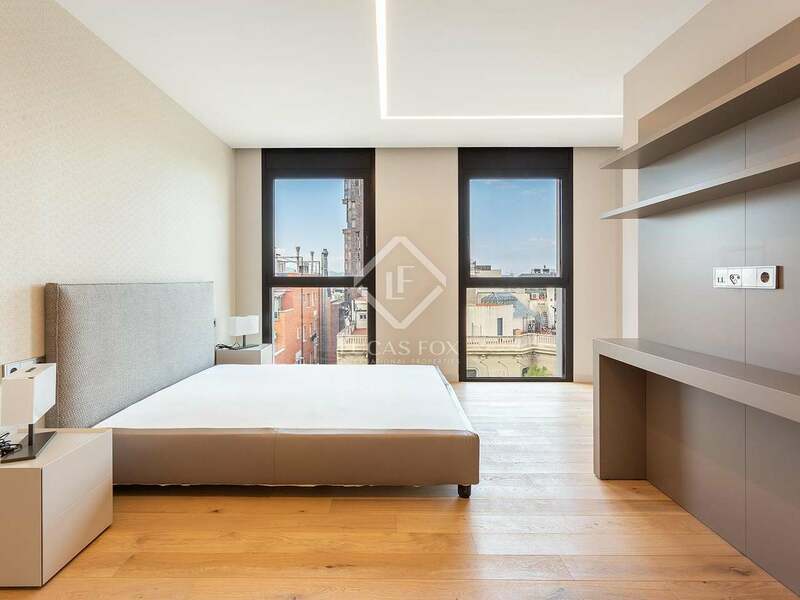 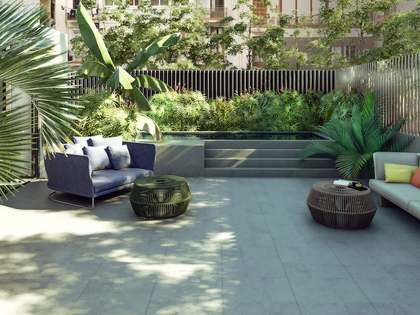 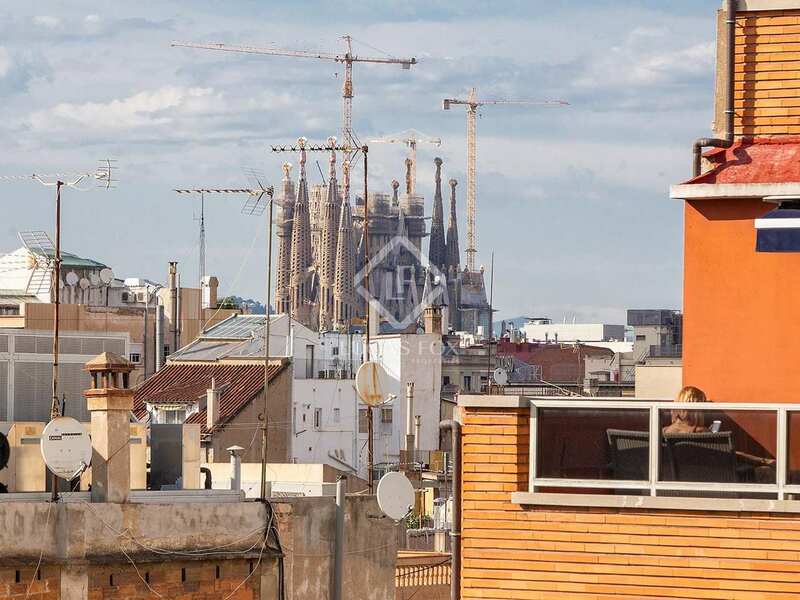 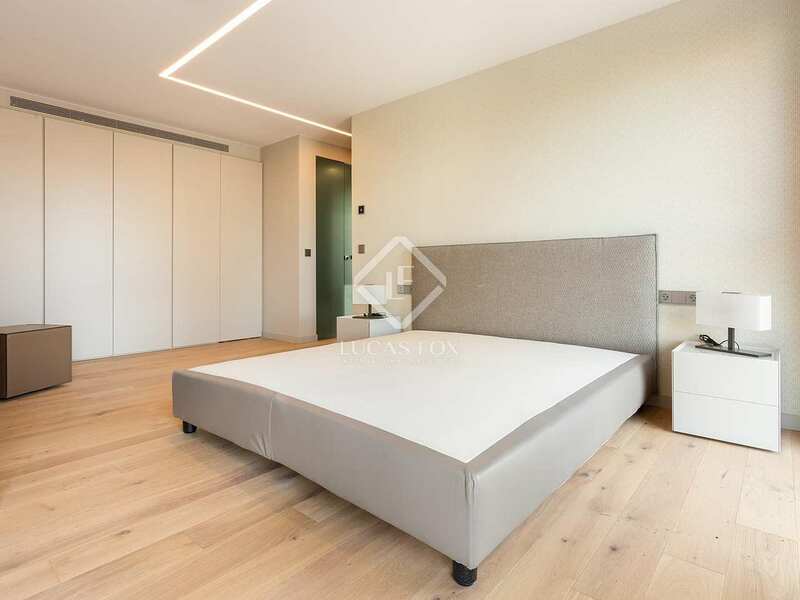 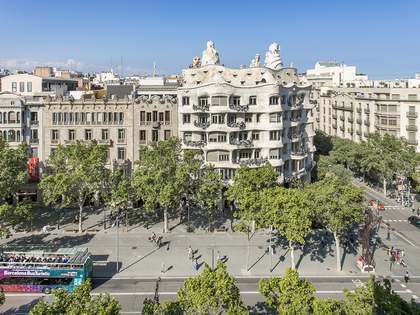 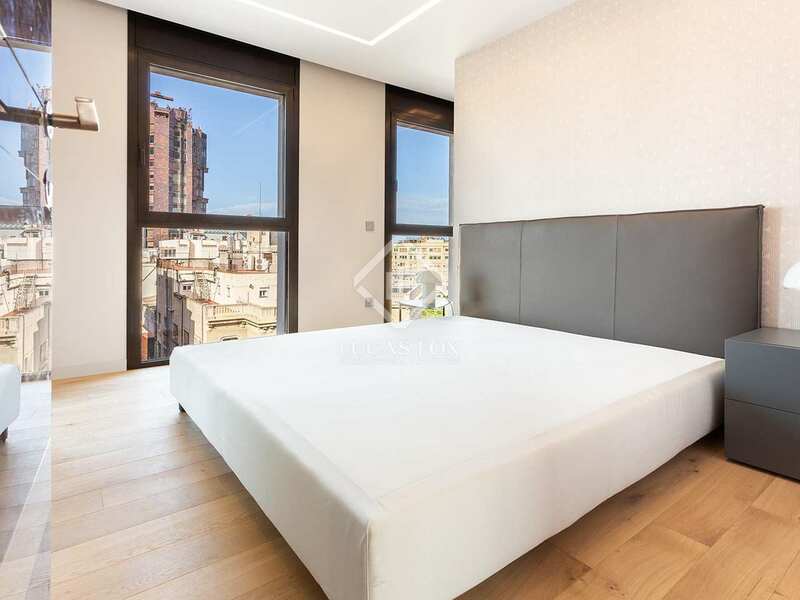 Eixample right is in the heart of Barcelona near Passeig de Gràcia, the city's most exclusive boulevard where high-end designer shops nestle next to Gaudí's world famous architecture. 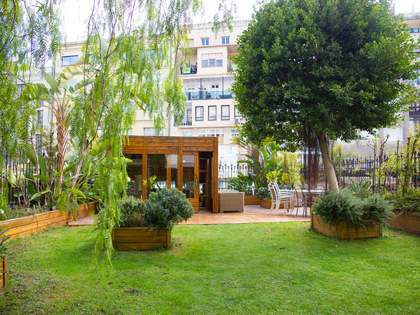 Just about everything is on your doorstep, from restaurants, bars and all kinds of transport to the port, beaches and vibrant old town. 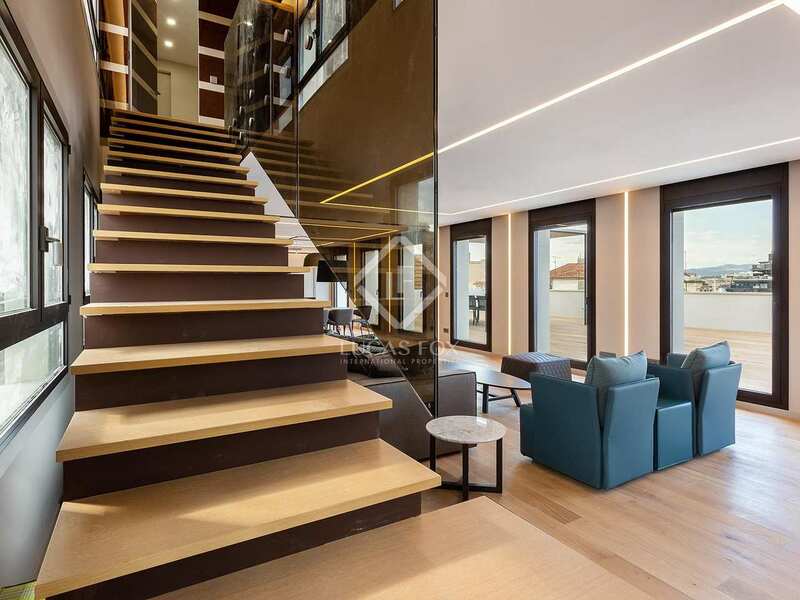 The airport is also within easy reach, making this a perfect apartment for international families.